6WIND software provides both traditional and IT-style management. Our management options include CLI, Linux and YANG models for APIs that integrate with third party management tools and orchestrators. 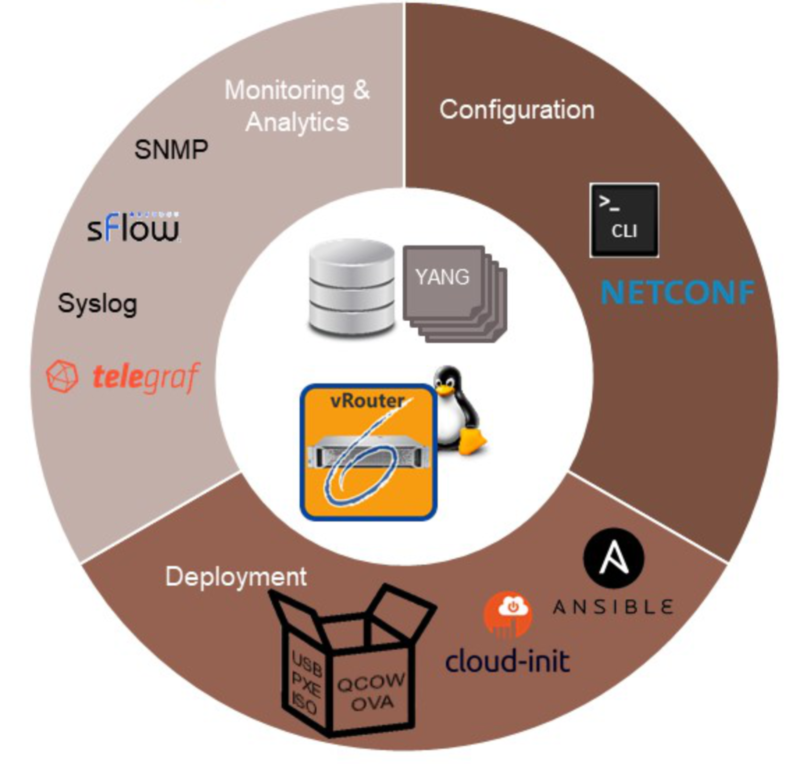 Our new-generation management framework proposes YANG-based NETCONF APIs. We also support standard Linux APIs such as iproute and iptables. Configuration can happen through Linux, the CLI and APIs for integration with third-party management tools and orchestrators. For Monitoring, we support the traditional SNMP and syslog mechanisms, plus telemetry through sFlow and graphical analytics (Grafana) with time series data base, including pre-integration with InfluxDB and Grafana. Our data models leverage YANG and are therefore easily understandable and extensible.